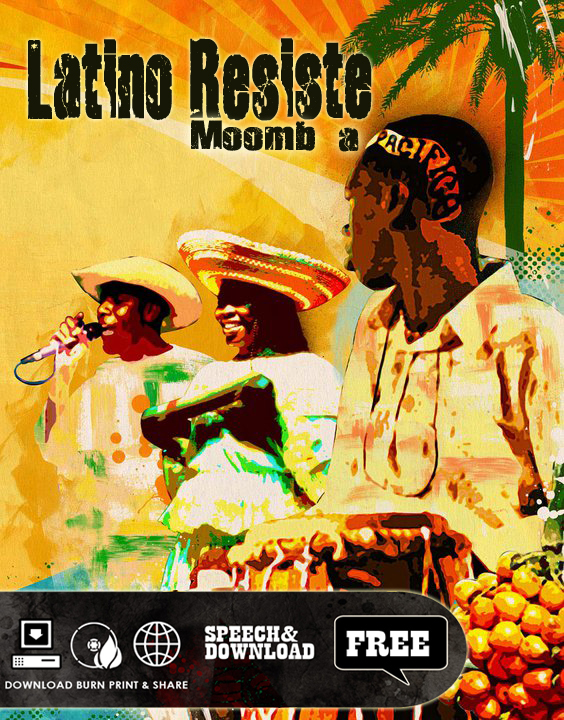 After the huge success of our first exposure in Root a Pacifica, people got in love with the sounds, richness, and beauty of the afropacific music from the black communities of Colombia. And having the likes of Uproot Andy, or Dave Nada dropping some of the sounds on their sets, it was just about time, that the Marimba driven genre could meet a sonic update!! Latino Resiste releases Moomb A Pacifica!! Ironically this album is released while Colombian people celebrate their battle of independence, while the minorities are struggling to exercise self-government, and usually sovereignty, over their territory. 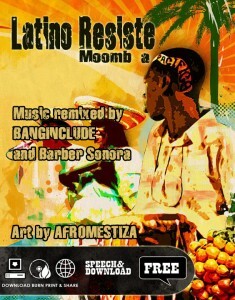 Fortunately we could capture, compile, and share the whole movement; as it needed to be exposed outside the south american paradise, so it could be redefined by NY’s Banginclude and Barber Sonora. The album drops 6 Bangers which flirt from dancehall to dembow, heavy bass and latin moombahton, while keeping the Pacific heritage of Gualajo, chirimia, marimba, and Choco’s rawness. Lyrically conscious and musically rebellious!! Latino Resiste supports Minorities as we are part of them!! Previous Diversidad a la Fuerza.